Saint Petersburg pay-as-you-feel: Addis Coffee • Drop the tension! The first room homes a number of different tables, hosting different coffee-making techniques. Marina takes us on a journey through time and around the world as she moves us around the tables. 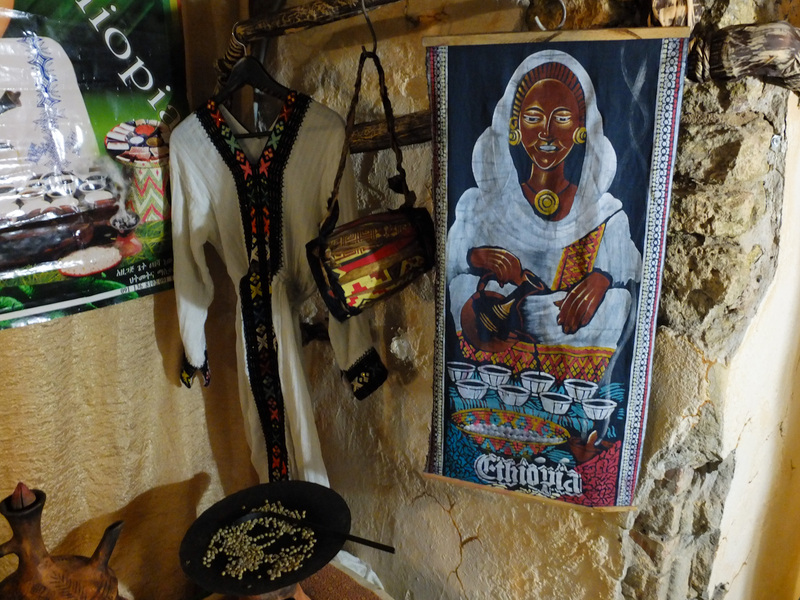 “Ethiopia is a birth place of coffee,” She explains, “Tasting the coffee is a rich and tribal experience.” Marina and her friends have travelled to Ethiopia to learn the roots of their beloved drink. 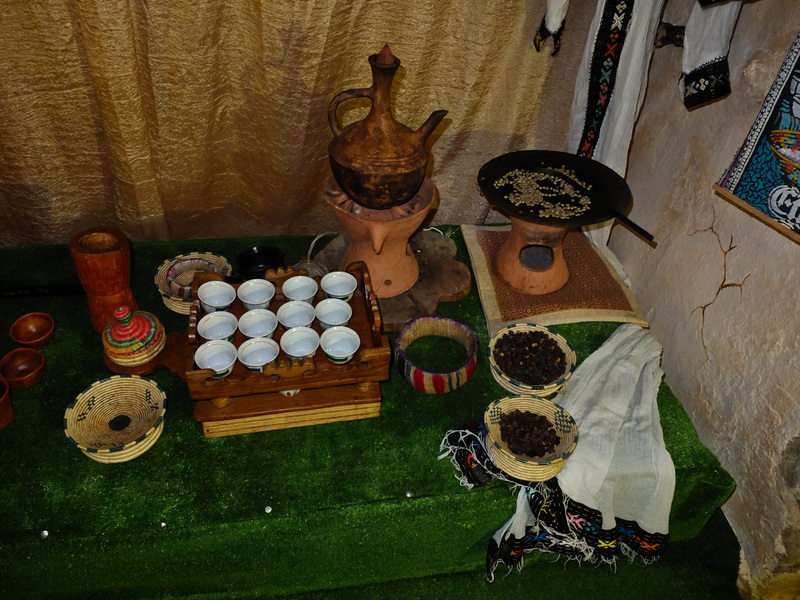 “I went because I wanted to learn the traditional coffee ceremony,” She says. 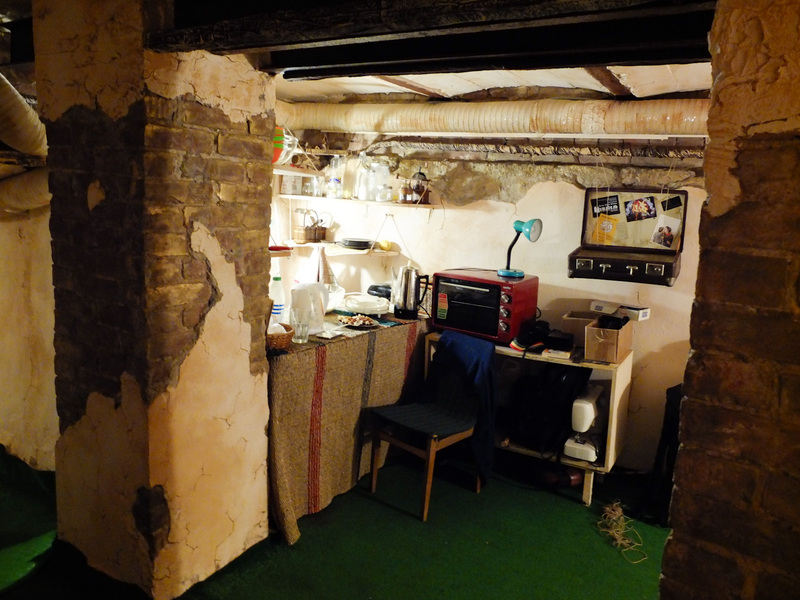 The workshop takes its name from the resident cat ‘Addis’, who gets his name from the capital of Ethiopia. The next table takes us to ‘The East’. 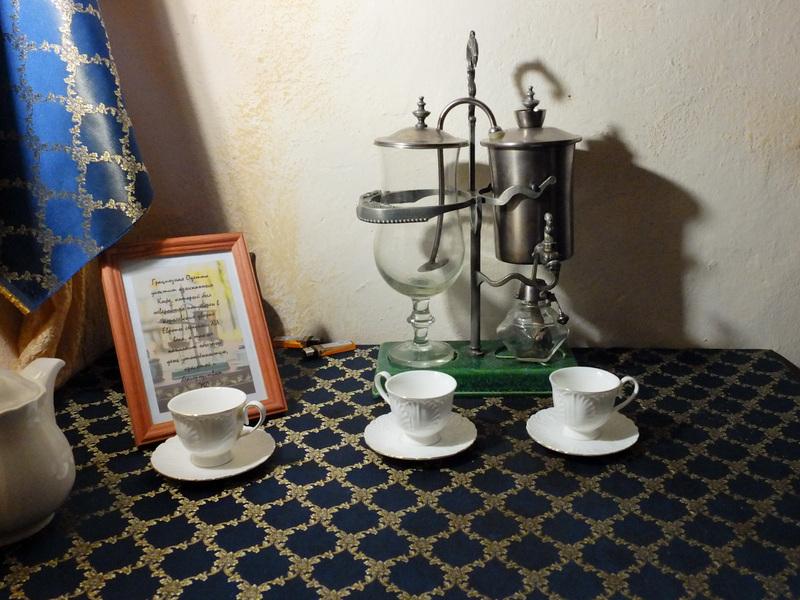 An electric hot plate heats a pan of sand, onto which the bronze Arabic coffee pot is boiled. Guests can select the spices they’d like crushed and added to their coffee. We pick out cardamom and cinnamon. A stainless steel coffee strainer is used for making a style of coffee we’ve been more familiar with over our travels: Vietnamese. I’m please to see this style will be complete with sweet and condensed milk poured from the can. “Coffee spread from East to West into Europe,” Marina shows us to a table holding an instrument I’m more familiar with: the Italian percolator. 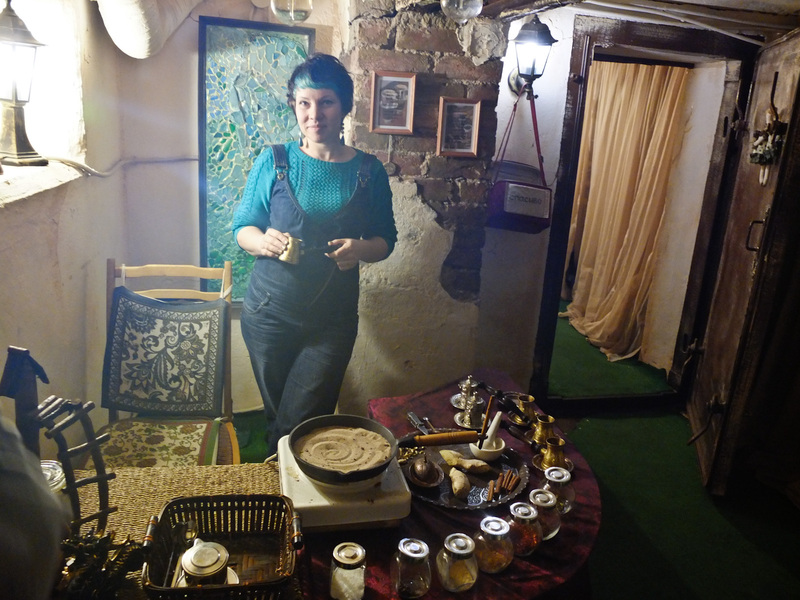 She uses the word ‘geyser’ to describe the way espresso is produced (same word in Russian) and reveals the battery-powered stick milk frother, used for making lattes. 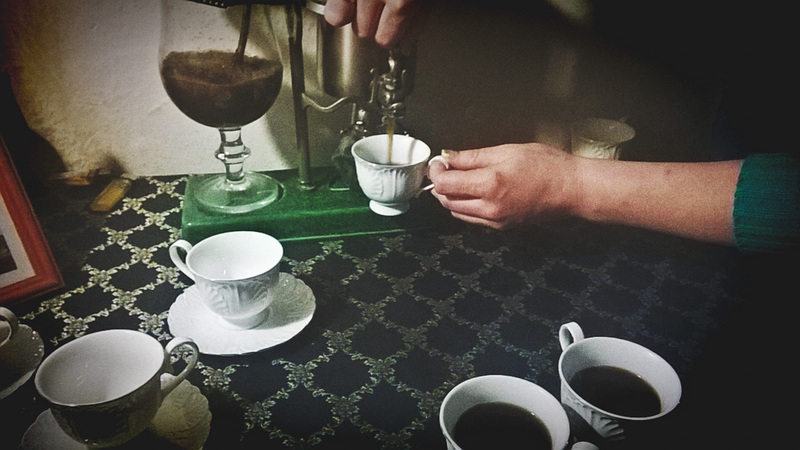 Addis Coffee Workshop is just one of the amazing social projects that abound in St Petersburg and make leaving this city and country extremely hard. Hoping to get back for more chat over cups soon as I can!